WARNING: This post is sappy. You’ve been warned. I think we all need to remember this heading in to this New Year! I’ve written this blog for almost three years. And rarely a week goes by where I don’t get at least a couple of posts up because I love it so much. I do it purely for the love. Because I love health and fitness so much. Because I love all of you so much. I actually got asked the other day what job I would do if money wasn’t an issue. I didn’t even need to think about the answer. I live, breathe, eat, sweat health and fitness. I live, breathe, eat, sweat seeing other people realize their own potential. Every day, I hope to inspire, to educate, to help others grow to be stronger, fitter, healthier, MORE EMPOWERED than they could ever imagine. And when I say all this, I’m by no means saying I’m selfless. I’m just saying this is my passion. And I get a lot in return. While I help my clients, each of them teaches me something new. Each of them inspires me in return. Each of them touches and changes me. Each of them makes me better and stronger. You’ve all touched me and taught me so much in 2013. I only hope I’ve done the same. We all now face a new year with infinite possibilities. We have the chance to learn, to grow, to inspire. What are you going to do with your New Year? P.S. 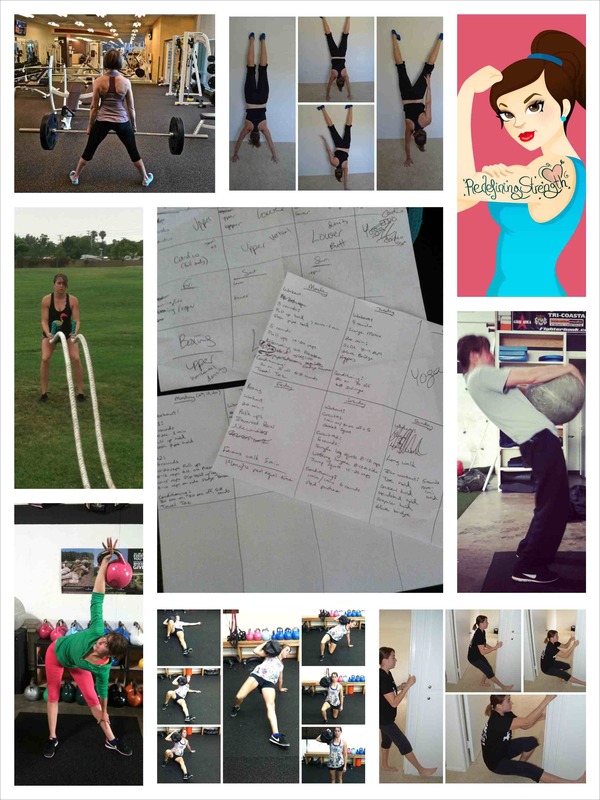 Check back tomorrow for a chance to have me help you get started on your New Years Resolutions for FREE! Oh yea! Working with the Man Biceps! 😛 Ok…Sappiness is now complete. Who doesn’t want to floor the gas pedal and go from 0-60 in less than 1 second? Who doesn’t see a motivating fitness picture or read a success story and not want to start working out right then and there? Who wants to take it slow when they first start a new workout program? But unfortunately, unlike some of the race cars out there, our bodies aren’t built to go from 0-60 in less than 1 second! If you try to workout too often and do too much too soon, you aren’t going to see results any quicker. Actually, you will most likely slow your progress or even keep yourself from progressing AT ALL. You also risk getting an injury that will stop you from doing anything for a while. I’ve seen it happen all too often. Especially around this time of year. 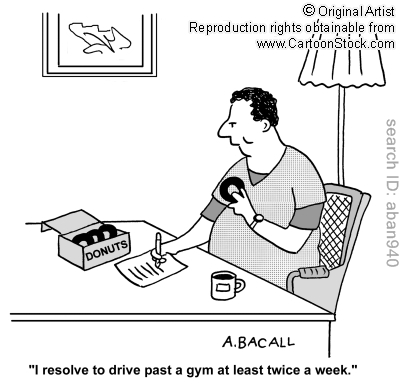 People get all gung-ho about their New Years resolutions. They have their goals and they want to accomplish them right now! They start up a gym membership and may have never worked out before in their life, but they are now hitting the gym at least 5 times a week. They start logging in millions of miles or jump right into lifting heavy weights. Their bodies aren’t prepared for either activity. They’ve haven’t taken the time to create an aerobic base or get their bodies ready to handle heavy loads. They haven’t worked on their mobility or form and haven’t really even taken the time to develop a specific program/routine that can be monitored to see if it is working. They are perpetually sore, but don’t slow down. They may develop some slight pain in their hips or knees or muscles, but rehab and prehab are only given a fleeting thought as something they should be doing, but just don’t have time for now. And they just keep pushing. They’re up there at 60. And they may have seen results right at the beginning. They can’t keep up that pace. Their body gives out. Little injuries become chronic pain. Their numbers and miles slowly go down because their body is stalling. They weren’t patient. And in their rush to achieve their goals, they’ve actually delayed themselves from reaching them. I know it’s so tempting to start lifting heavy 4 times a week, always trying to hit your max. I know it’s tempting to workout more and more as you see your body become slimmer. I FULLY understand the desire, the drive, to work as hard as you possibly can to achieve your goals NOW! But if you really want your goals that bad, you need to rest too. You need to be patient. You need to outline a long-term program and you need to learn to enjoy the ride. Learn to love the workouts themselves and enjoy each and every part of improving your health, even the rehab/prehab and rest days. Constantly remind yourself that when your body rests, that is when the muscles are actually growing – that is when you are actually reaping the benefits of all the time you spend in the gym! Honestly, if you can remind yourself to be patient now, you will reach your goals a million times quicker than if you try to rush to reach them now. Don’t let your drive to reach your goal (be it a weight lifting competition, marathon or even just weight loss) make you push yourself too far too fast. It’s all about the ride! Enjoy each and every moment of it! I have a love-hate relationship with January. Be honest...Does this sound like you? On the one hand, January means lots of new members and clients (YAY!). It is also a great time to rethink your goals and plan out new strategies to reach them. It is usually a time when you are most gung-ho about your goals so it is a great time to start working hard! On the other hand, January means a crowded gym and goals that are never achieved by the majority of the population. It means a lot of frustration for me as a trainer and fitness enthusiast because I see person after person quickly give up on their fitness goals. How are some people just happy about signing up for a gym membership? I mean literally we have people come in during January who sign up for a membership and never come in after signing up. Why waste your money? I mean if you aren’t going to use it – if you aren’t going to follow through on this resolution – why even set it? Don’t be one of those people!!! I can deal with a crowded gym but I can’t deal with the people who don’t even give their resolutions a fair chance. Anyway, committing to a healthy diet and fitness program isn’t easy. You don’t just say to yourself, “I want to be healthy” and it instantly happens. No! There are cravings for bad food. There are days when you feel sore and tired and just don’t want to workout. There are friends and family who can act as bad influences! It isn’t easy. No one ever said it would be. BUT if you give yourself a chance to really settle into a ROUTINE, it will get EASIER!!! You may always still crave certain foods, and there may be times you skip workouts, but you will feel committed and CRAVE your healthy lifestyle if you stray from it for a few days. How long does it take before you actually feel committed? I tell my clients that if they can push through the initial struggle and stick with their resolutions for 3 months, they will find that it gets like 100 times easier to stick to their goals after that. It takes about 3 months to make working out and eating well a HABIT. Once you’ve made a habit out of enacting your goals, you are way less likely to give up on them. So don’t be one of those people who only crowd up the gym in January or sign up and never come! Join a gym, set some goals and push through the first three months. It will be worth it. Trust me. P.S. 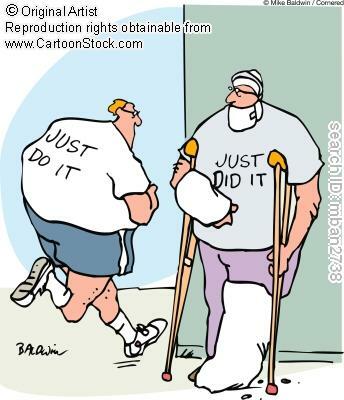 If you need help staying committed for those first three months, hire a trainer! I always tell my clients that my job is to help them make working out and lifting weights a habit so that they can do it on their own! 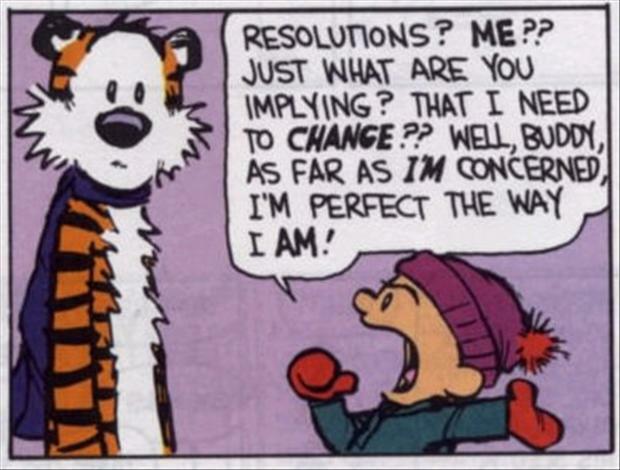 I’ve never been one to make serious New Years resolutions. I do the usual, “I want to get in even better shape” or “I want to clean my house more.” But I never set real, measurable goals. Unlike “resolutions,” the items on my “Pail List” (Ryan called it my “pail list” since it is smaller than a “Bucket List”…and since I don’t intended on “Kicking the bucket” anytime soon!) are all actions or events, not necessarily a goal I’m working toward that will be fully completed at some point during the year. One thing on my “bucket list”is to create a Powerlifting training program that not only makes me the strongest woman alive (haha) but also one of the sexiest (great goal right!?!)! I hear so many people say that you can’t train to be super strong and super lean at the same time, but then again those people probably haven’t ever seen someone who has done Crossfit! 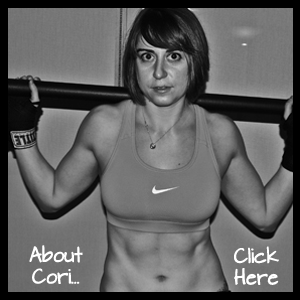 I want to create another program that proves you can do just that! I’m going to take all the self-experimenting and research that I’ve done over the past year or so and use it to create my own program! So first item – my own super awesome powerlifting program. My second item, of course relates back to my first item…I want to compete in a national raw powerlifting competition! YAY! Ok so, that is all I have so far other than maybe dying my hair a super funky color (one year it ended up being pinky/orange…long story…). These items on my list are just things I want to complete before the year is up – some will take some training while others are things I could technically do tomorrow, but all are things that I WILL DO…unlike cleaning my house more often…I mean what really is more often…. So what are some items on your “Pail List” for 2012?